RHYTHM OF THE NEEDLES: Who Needs a GPS? Yesterday I visited the city of Cochrane, Alberta, about 12 miles from Calgary. I was going to my son-in-law's parents' house for dinner. They live in a brand new subdivision so my GPS had no clue how to get me there. Since it's a small town (population is just over 15,000) I thought I'd just set the GPS for the center of city and I'd wing it from there. Welllllll... my internal knitting GPS is working just fine, thank you very much. 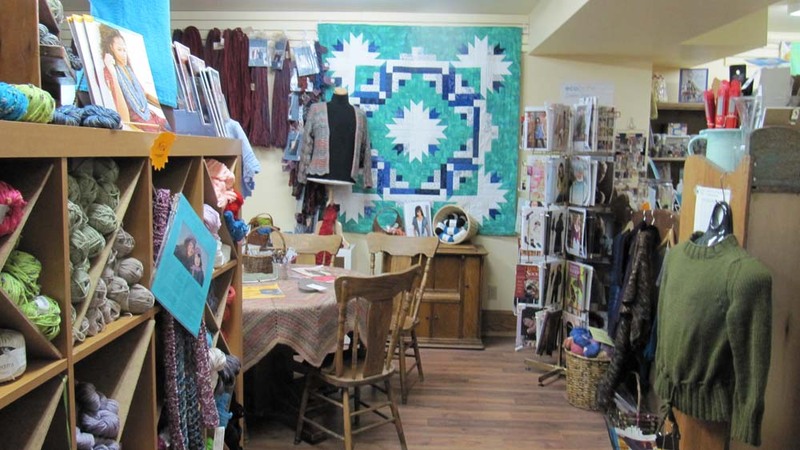 I got to the center of town and decided to pull over and ask for directions and there, right in front of me was a yarn/quilting shop AND it was open AND there was a parking spot right at the front door. Instant karma! The shop is Addie's Creative Fabrics and it's packed full of temptations spread out over two floors. 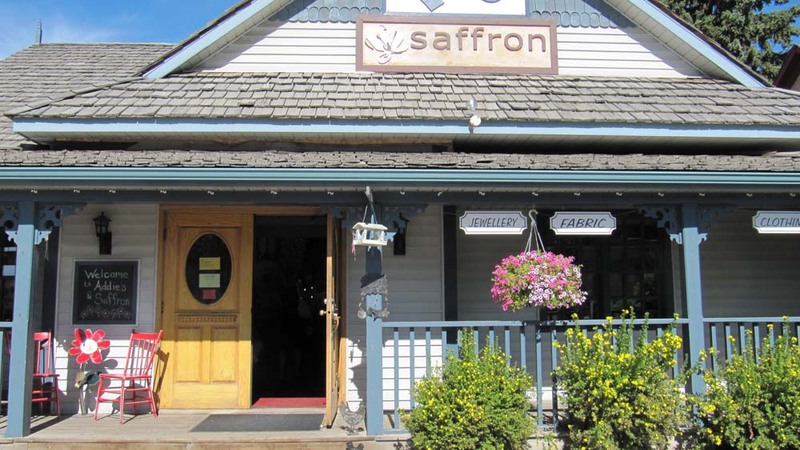 The store was bustling with activity. They had yarns from Debbie Bliss, Sandnesgarn, Lopi, Sirdar and more. 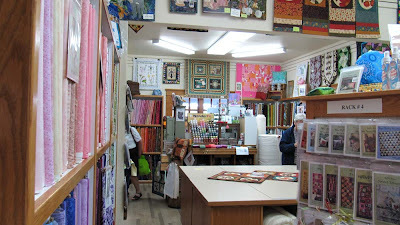 For quilters there were lots of pretty fabrics. 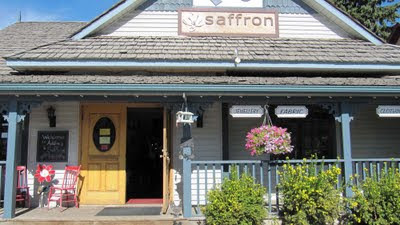 There is also pottery in the store from the company, Saffron. Now, keep in mind that I don't sew if I don't have to. I wanted to like sewing, tried it often and did okay but enjoying it wasn't in the cards for me. It's been years since I've pulled out my sewing machine. Maybe I'll try again. However, I spotted some fabric that I had to have and I bought a meter. How could a hockey-loving person resist? 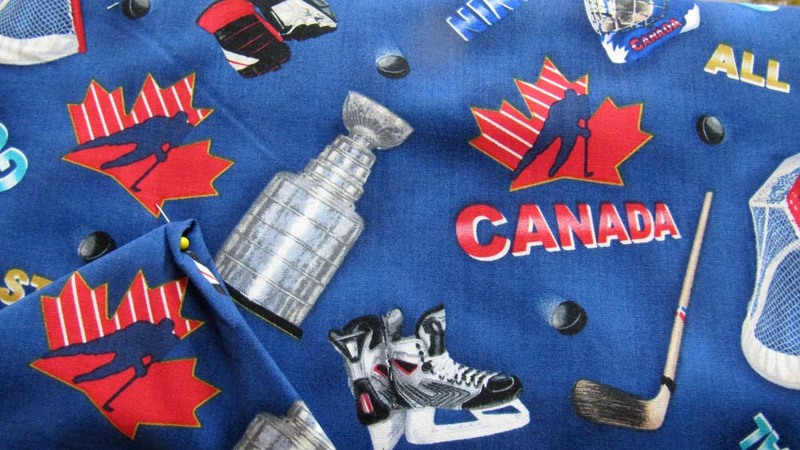 There were actually other hockey designs as well but this one called to me the loudest. I have no idea what I'll make with it and in the meantime it only has to hang around and look pretty. 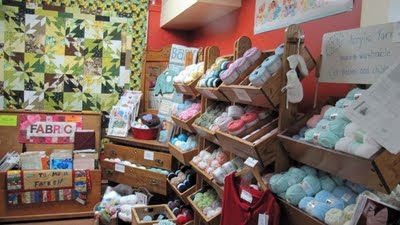 Okay, I've visited 3 yarns shops in the area (Pudding, Make One and Addie's) and I still have more to look forward to. 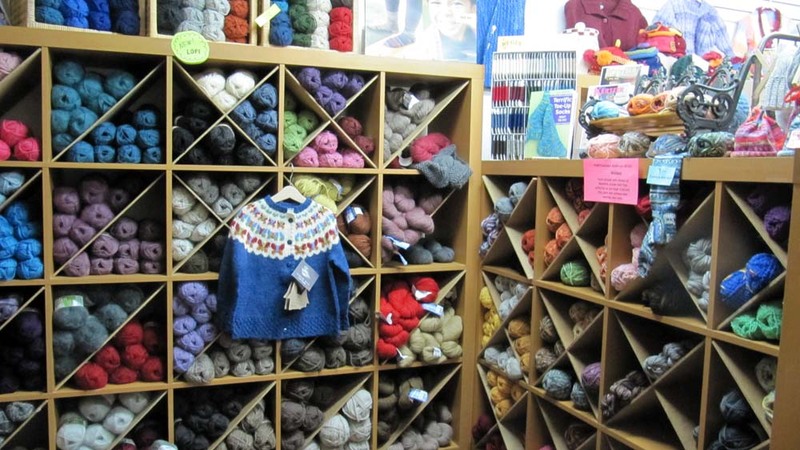 Isn't it fun to be a knitter? Wow, what a great find. That shop looks super fun to visit.